The dhb Waterproof Gloves are all about protecting your hands on those days when you want to ride, but it's grey skies and persistent rain out there. If rain and cool temperatures are forecast for your whole ride, these gloves are a great choice, keeping you comfortable all ride long to help you stay out there for longer, in comfort. dhb have used a waterproof membrane and a stretch neoprene cuff to create an effective seal from the weather. For warmth, the brushed fleece lining helps trap air that is then warmed by body heat keeping your hands cosy. Foam padding on the palm protects your hands from the bumps and shocks from rougher roads. To ensure you remain in total control you'll also find silicone grippers on index and middle finger for shifting and braking duties. Updated from the dhb Rain Defence Glove, added reflective details help you to be seen in murky, winter conditions. dhb Waterproof Gloves is rated 4.2 out of 5 by 9. Rated 2 out of 5 by Fintan11 from Starts off warm but not very breathable I have these gloves a few months now and ridden several audax rides in temperatures from 0 - 6°C. The gloves fit well and are comfortable to wear. The main issue I have is that the are not breathable. The ride starts off with my hands nice and toasty but usually by the first control the inside of the gloves are damp. I have to be careful in removing the gloves as the liner inside can get pulled from the finger, which can the be a pain when trying to get the gloves back on with the inside of the glove been damp. When continuing with the ride the damp gloves can then be quite cold for the first 10 minutes before warming up. I have tried to give the gloves the benefit of doubt over several rides and temperatures but to no avail. They are probably waterproof but as my hands are just as wet inside the gloves I can't really comment on that. Rated 4 out of 5 by CentralBelter from Warm and keep hands dry Haven't used them in an absolute downpour, but the times it has been raining/wet, hands have remained dry and warm. Gloves are a bit 'chunky' but not like ski gloves. Seem to be well made as they aren't showing any signs of wear yet. A bit on the thick side for me, but apparently are ideal for my partner (so she uses them). Rated 4 out of 5 by Musthavesugar from Bit tight, but getting looser I've only work the gloves a couple of times, and the medium are a tight fit. I assume they'll loosen up after a few wears. Warm enough. Rated 5 out of 5 by Pugglemonster from Glad I got these Kept my hands warm down to about 3 degrees over a 90km ride. Seemed relatively waterproof although I haven't had the chance to use them in the rain yet. Comfortable with good grip on the fingers and all the right padding on the palm. Didn't feel any uncomfortable road vibrations. They do trap sweat a bit and that made things cold after stopping for a coffee but my hands soon warmed up again. Your mileage may vary but a quick blast on the pedals or a hill climb to get the blood flowing warmed things back up within about 5 minutes. 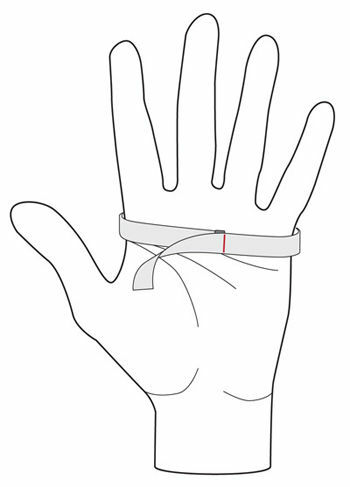 These are quite close fitting around the wrist and so aren't the easiest to take off when you're gloved up. Dexterity for reaching into back pockets is obviously reduced as these are quite thick and also probably haven't been 'broken in' yet. Overall, I'm well please with these so far.